A man and a woman have obviously run out of words to say to each other – so they take action. He throws her favourite dinnerware out of the window; she smashes his hunting trophy … Furniture, clothes, walls – nothing is safe from them. 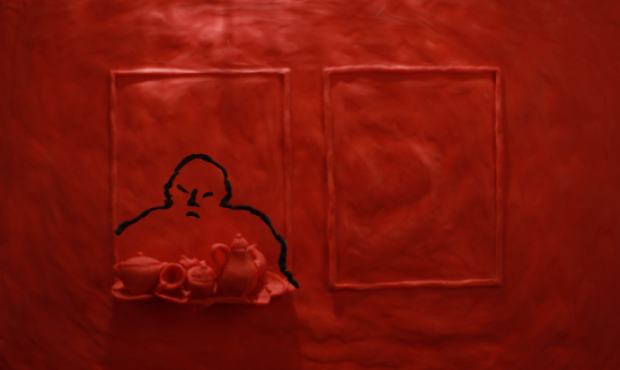 In Izabela Plucińska’s plasticine animation the quarrelling couple join forces to smash the whole household to pieces. But can people who argue so passionately really just part at the end of the day?